What is Web Hosting in SEO? Do You Have an Idea? What is Web Hosting and does Hosting Affect SEO? Web and Hosting go hand in hand, as a good web hosting company will enhance the SEO efforts of a website whereas a bad web hoster can ruin the SEO prospects of the website. this guide is created to explain what web hosting is, how it affects SEO and certain strategies you can use to enhance web hosting for SEO. Web hosting is a service provided for websites which allows the website to be available on the internet by giving them space for their content on servers. Web Hosting is a general term people use to tell that a website hosting provider is SEO friendly. While not directly impacting SEO, it rather provides incremental boosts that enhance the SEO efforts of the website. Similarly, a bad Web hoster might not harm SEO efforts directly but instead slow it down indirectly. Hosting affects SEO depending on the website’s ON page and OFF page aspects. What is SEO Hosting and What are Some Strategies I can use? WEB SPEED refers to the website load speed and the time it takes to load a single page. It is a factor which directly affects the On page factor of the website. The faster a page loads the better the user experience would be which can affect the website SEO in a positive way.In terms of the web hoster, The company must have a good data infrastructure and fast hardware as a well-optimized website with a good provider can load within seconds. Uptime or website availability is referred to the prospect where the website can handle a tremendous amount of visitors. Search engines avoid redirecting to websites that are unavailable and tend to avoid it at any costs. Security in SEO is the prospect where the data stored on the website is secure not only with the website but the web hosting service as well. As a poorly secured website is prone for hacking and reults in the domain getting blacklisted. 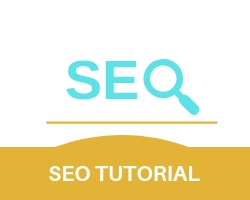 The hosting company should have a basic knowledge and idea on the type of website they are hosting because if the company is unaware of the SEO prospects of the website they could end up directly damaging the website’s reputation and ranking. Also while hiring a web hoster, the owner of the website should make sure that the web hosting company should not interfere in the inner workings of the website.